The International Labour Organization was created in 1919 by Part XIII of the Versailles Peace Treaty ending World War I. 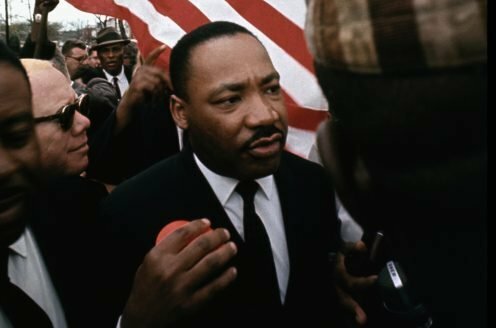 It grew out of nineteenth-century labor and social movements which culminated in widespread demands for social justice and higher living standards for the world’s working people. In 1946, after the demise of the League of Nations, the ILO became the first specialized agency associated with the United Nations. The original membership of forty-five countries in 1919 has grown to 121 in 1971. In structure, the ILO is unique among world organizations in that the representatives of the workers and of the employers have an equal voice with those of governments in formulating its policies. The annual International Labor Conference, the ILO’s supreme deliberative body, is composed of four representatives from each member country: two government delegates, one worker and one employer delegate, each of whom may speak and vote independently. Between conferences, the work of the ILO is guided by the Governing Body, comprising twenty-four government, twelve worker and twelve employer members, plus twelve deputy members from each of these three groups. The International Labor Office in Geneva, Switzerland, is the Organization’s secretariat, operational headquarters, research center, and publishing house. Its operations are staffed at headquarters and around the world by more than 3,000 people of some 100 nationalities. Activities are decentralized to regional, area, and branch offices in over forty countries. The ILO has three major tasks, the first of which is the adoption of international labor standards, called Conventions and Recommendations, for implementation by member states. The Conventions and Recommendations contain guidelines on child labor, protection of women workers, hours of work, rest and holidays with pay, labor inspection, vocational guidance and training, social security protection, workers’ housing, occupational health and safety, conditions of work at sea, and protection of migrant workers. They also cover questions of basic human rights, among them, freedom of association, collective bargaining, the abolition of forced labor, the elimination of discrimination in employment, and the promotion of full employment. By 1970, 134 Conventions and 142 Recommendations had been adopted by the ILO. Each of them is a stimulus, as well as a model, for national legislation and for practical application in member countries. A second major task, which has steadily expanded for the past two decades, is that of technical cooperation to assist developing nations. More than half of ILO’s resources are devoted to technical cooperation programs, carried out in close association with the United Nations Development Program and often with other UN specialized agencies. These activities are concentrated in four major areas: development of human resources, through vocational training and management development; employment planning and promotion; the development of social institutions in such fields as labor administration, labor relations, cooperatives, and rural development; conditions of work and life – for example, occupational safety and health, social security, remuneration, hours of work, welfare, etc. Marking the beginning of its second half-century, the ILO has launched the World Employment Program, designed to help countries provide employment and training opportunities for their swelling populations. The World Employment Program will be the ILO’s main contribution to the United Nations Second Development Decade. There are some 900 ILO experts of fifty-five different nationalities at work on more than 300 technical cooperation projects in over 100 countries around the world. Third, standard-setting and technical cooperation are bolstered by an extensive research, training, education, and publications program. The ILO is a major source of publications and documentation on labor and social matters. It has established two specialized educational institutions: the International Institute for Labor Studies in Geneva, and the International Center for Advanced Technical and Vocational Training in Turin, Italy. Since its inception the ILO has had six directors-general: Albert Thomas (1919-1932) of France; Harold B. Butler (1932-1938) of the United Kingdom; John G. Winant (1938-1941) of the United States; Edward J. Phelan (1941-1948) of Ireland; David A. Morse (1948-1970) of the United States; Wilfred Jenks (I970- ) of the United Kingdom. “Fifty Years in the Service of Social Progress, 1919-1969”, ILO Panorama, 37 (July-August, 1969) 1-88. The ILO in the Service of Social Progress: A Workers’ Education Manual, Geneva, ILO, 1969. Jenks, Wilfred, Human Rights and International Labour Standards. London, Stevens, 1960. Jenks, Wilfred, The International Protection of Trade Union Freedom. London, Stevens, 1957. 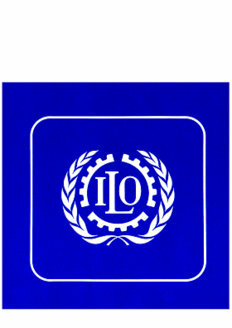 Johnston, G.A., The International Labour Organization: Its Work for Social and Economic Progress. London, Europa Publications, 1970. Landy, Ernest A., The Effectiveness of International Supervision: Thirty Years of ILO Experience. London, Stevens, 1966. Morse, David A., The Origin and Evolution of the ILO and Its Role in the World Community. Ithaca, N.Y., Cornell University, New York State School of Industrial and Labor Relations, 1969. Phelan, Edward J., Yes and Albert Thomas. London, Cresset Press, 1936. The Story of Fifty Years. Geneva, ILO, 1969. Valticos, Nicolas, “Fifty Years of Standard-Setting Activities by the ILO”, International Labour Review, 100 (September, 1969) 201-237.